Major IR theories, which stress that actors will inevitably only seek to enhance their own interests, tend to contrive binaries of self and other and ‘inside’ and ‘outside’. By contrast, this book recognizes the general need of all to relate, which they do through various imagined resemblances between them. 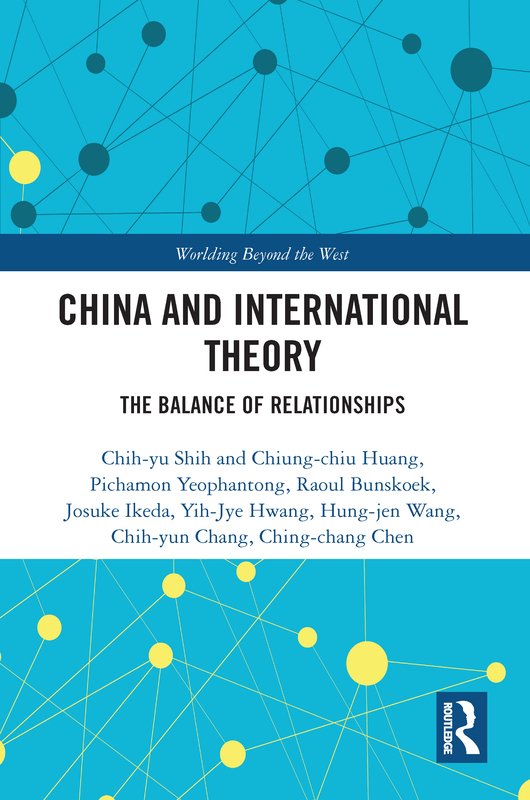 The authors of this book therefore propose the ‘balance of relationships’ (BoR) as a new international relations theory to transcend binary ways of thinking. BoR theory differs from mainstream IR theories owing to two key differences in its epistemological position. Firstly, the theory explains why and how states as socially-interrelated actors inescapably pursue a strategy of self-restraint in order to join a network of stable and long-term relationships. Secondly, owing to its focus on explaining bilateral relations, BoR theory bypasses rule-based governance. By positing ‘relationality’ as a key concept of Chinese international relations, this book shows that BoR can also serve as an important concept in the theorization of international relations, more broadly. The rising interest in developing a Chinese school of IR means the BoR theory will draw attention from students of IR theory, comparative foreign policy, Chinese foreign policy, East Asia, cultural studies, post-Western IR, post-colonial studies and civilizational politics.